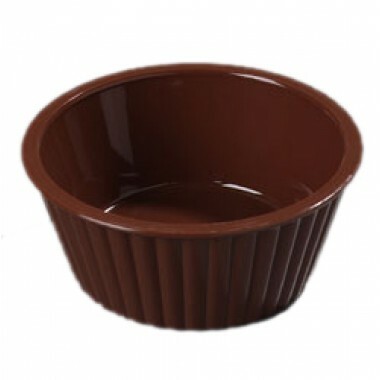 Plastic made ramekins & sauce cups are the most efficient choice being dishwasher safe and chip resistant. Perfect for your casual dining, restaurant, catering service, and bar service. They fit perfectly as a side on any plate or serving basket to serve dressings, sauces, dips, and other yummy sides. Choose between our fluted and smooth styles!